While Joffrey Lupul will not be seeking a second opinion on his failed physical, the NHL intends to have an independent doctor determine if the 33-year-old is healthy enough to participate in the season. 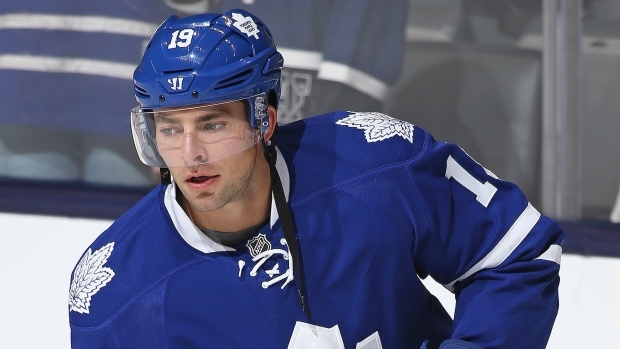 On Wednesday, Lupul released a note apologizing for earlier social media posts where he appeared to deny any injury after the Toronto Maple Leafs announced the veteran winger failed his medical this year. Lupul also said he would not be seeking a second medical opinion, the deadline for which would have been Thursday at 5 pm et. "I responded earlier this week to some negative comments on Instagram. It was an inappropriate response, and I deleted it, but I take full responsibility. It's been extremely tough not being able to play over the past 1.5 years. I will not be seeking a second opinion, but I hope one day to be able to get back on the ice. I apologize to the media, fans, Leafs organization, and most of all my teammates for this unneeded distration," Lupul posted. Lupul posted a photo on Instagram on Sunday of what appeared to be him snowboarding, with the comments, "Haha failed physical? They cheat, everyone lets them," and "I'm ready.. Just awaiting the call." The post, which has since been deleted, came three days after Leafs GM Lou Lamoriello said the Fort Saskatchewan, Alta., product had failed his medical on the first day of Leafs' training camp.